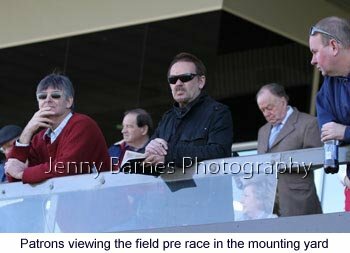 It may be the middle of winter but the weather today was perfect for a day at the races - sunny and no breeze for most of the racing program for the day. 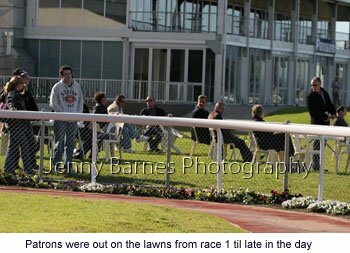 The sun also brought out the racecourse patrons who made full use of the tables and chairs on the Morphettville lawn area from race 1 til the area was in shadow late in the day. 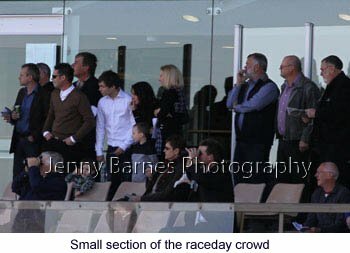 Photos taken early in the day can be seen below. 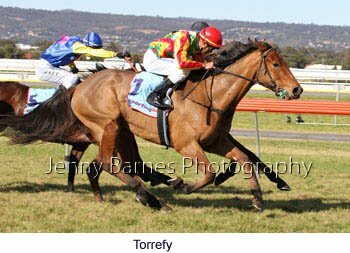 To start the day off the Hurdle on the Morphettville Parks track too centre stage and there was plenty of interest with racing regulars commenting that it had turned out a strong race despite the clash with the reprogrammed Warrnambool feature jumps meeting in Victoria. 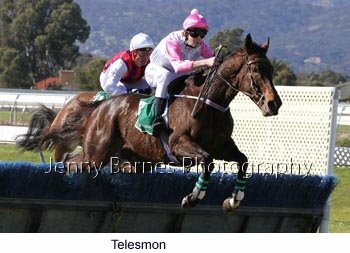 Groenenboom and Telesmon led at a strong pace with Trenchtown well back in third ahead of the bunched field. 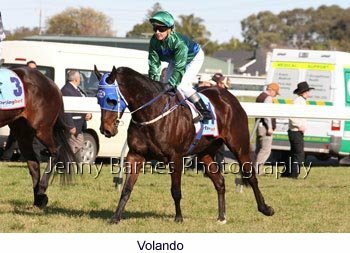 Passing the post the first time Telesmon took over from Groenenboom with Viva Delspec joining Trenchtown next closely followed by favourite Zaman as the field stretched out. 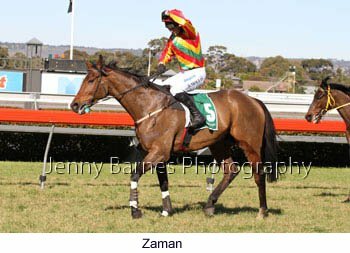 By the 1400m Telesmon had a big lead over Zaman followed by Viva Delspec then Trenchtown as Sultan of Speed started to make ground from well back. 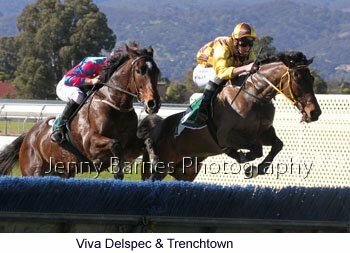 Over the third last Viva Delspec and Zaman joined Telesmon in the lead with Yesquire putting in a run and Sultan of Speed running on. 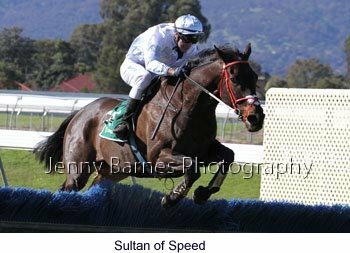 Turning for home Zaman had kicked clear from Viva Delspec trying to make ground as Sultan of Speed ran on around Trenchtown. 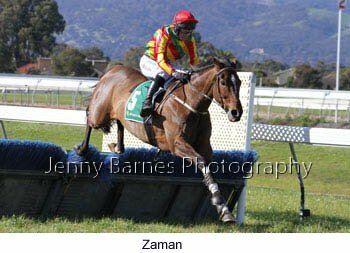 Over the second last Viva Delspec knuckled on landing leaving Zaman to sprint away jump magnificently over the last and race on to win by a huge margin from Sultan of Speed with Count La Za running on for third ahead of Trenchtown in the 9 horse field. 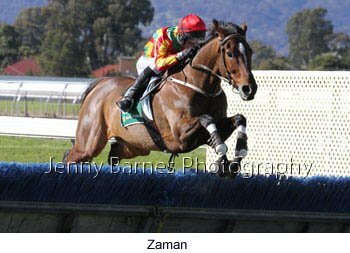 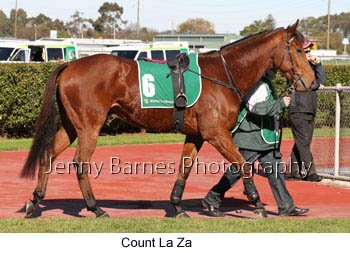 Viva Delspec and his jockey were soon on their feet and appeared OK. Zaman has now had 6 runs over the jumps for 3 wins and 2 placings and looks to show plenty of promise for the future. 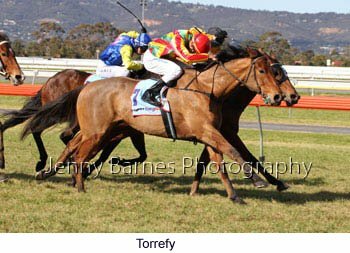 Back onto the main Morphettville track race 2 saw Victorian raider Volando from the Peter Moody stable race away to win from Kert with Jeunealistic third while the third race saw Fran Houlahan and Brian Johnston record an early double with Torrefy proving too good from Addiction to Rock with Mr Good Cat third. 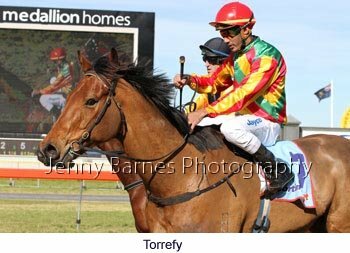 Torrefy was bred to stay being by Don Eduardo from a Citidancer mare but today's distance of 1200m after a short let up proved to be perfect taking his record to 21 starts for 6 wins and 6 placings. 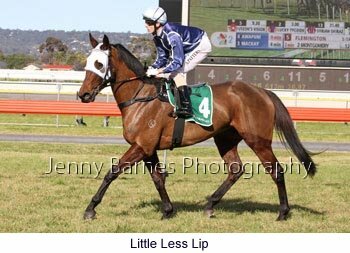 The 2yo fillies lined up in race 4 where it was fitting that first starter Little Less Lip fought back strongly when challenged to gain the upper hand and defeat Schaduw with Nobody Gets third. 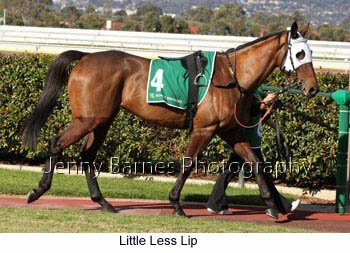 Little Less Lip is by SA stud legend Blevic who died less than a week prior due to complications of colic. 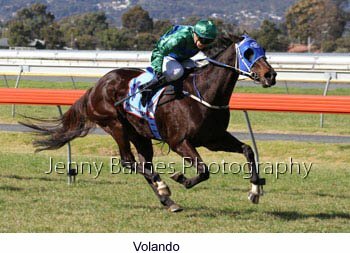 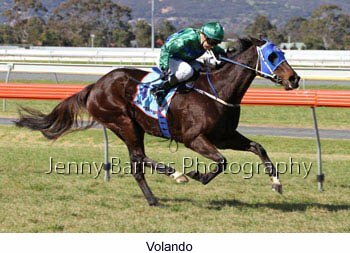 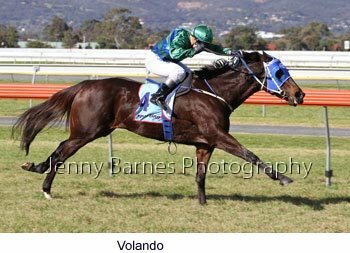 Blevic also sired the feature winner in Melbourne in Glaneuse who took out the Winter Championship Series Final at Flemington for the second year running. 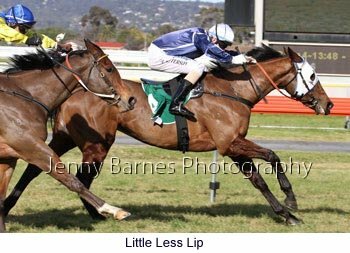 Kosciuszko's Side won the fifth race from Briefed and Bermondsey while Mr Lowdes never gave up to run down The Red Emperor in the Open Hcp over 2048m with No Other third. 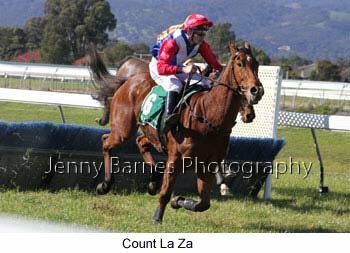 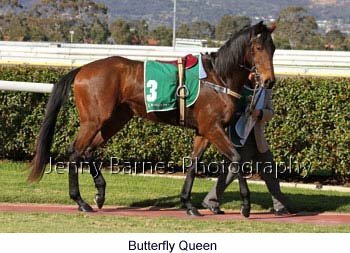 The 3yo race went to Comearoundsundown who showed she is well and truly back in form winning her second race in two weeks. 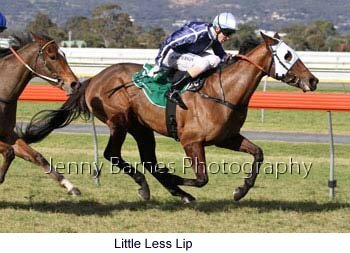 Coming up the inside she hit the lead halfway down the straight and despite on what many thought was the worse ground came away from Karacatis and Hot Diamond who were finished well down the outside. 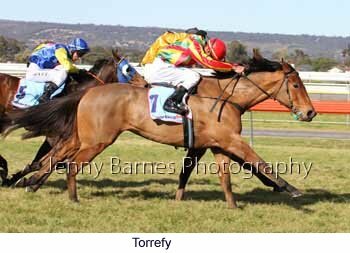 Comearoundsundown has now taken her record to 5 wins from 10 starts and 1 third. 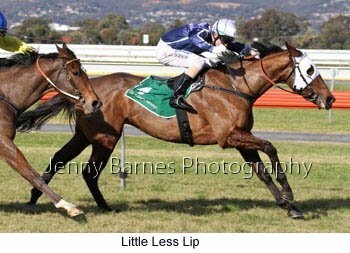 In the last race Zerprise Us All continued her consistent form to put the race beyond doubt halfway down the straight winning easily from Striking Image who nosed ahead of The Boilermaker and Havelock Express in a bunched finish for second.